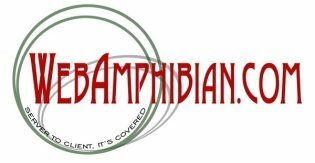 WebAmphibian has a wide range of skills from writing to editing to developing promotional materials to assist you with your business needs. This is only a sample of the types of services we offer; contact us to discuss how we can help you with any type of writing or promotional material project. WebAmphibian can provide technical writing, proofreading and editing services for instructional materials, technical manuals, "how-to" information, and more. With more than 10 years experience, we can provide you with a quality finished product, whether we create it from scratch or work on a draft project provided to us. If you need flyers, brochures, catalogs, business card CDs, or other types of promotional materials, WebAmphibian.com can help. From idea to finished product, we have the experience needed to provide you with the materials to promote your business or product. Contact us today to see how we can help.